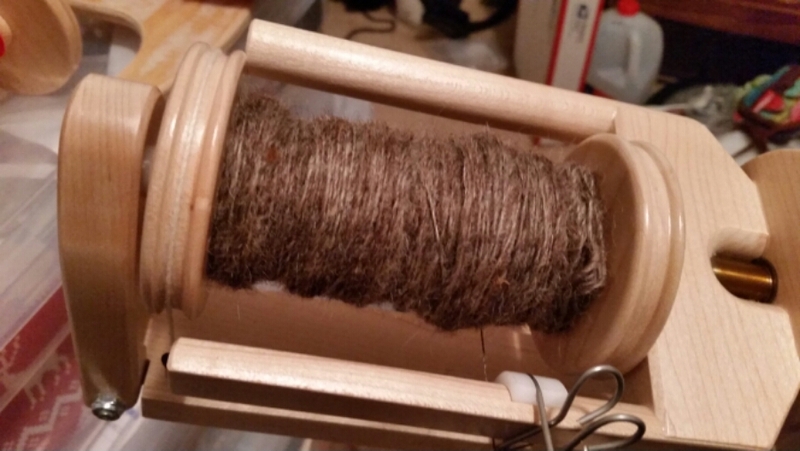 Today was a very long and busy day, and I did not get to my spinning wheel until after 9:00. Because I’m tired, it was a short session. But very interesting. I found I was focusing on the “pinch” as a more integral part of keeping the yarn even. Holding the pinch lets the twist build up, so when you slide down the fibers the twist follows your fingers and twists the fibers together, making yarn. What I realized tonight is that I can use that pinch to control the twist better AND give myself a couple of seconds to get the drafting right. So I’m pretty happy about that little realization, and happy that I found it naturally by focusing on improving my drafting.